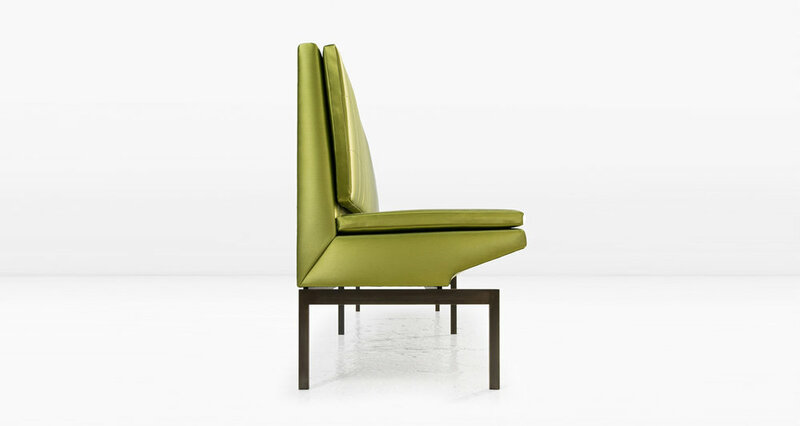 The seat of the Mancini Banquette floats above a metal base. The semi-attached seat cushions afford an extra layer of comfort. Shown with a Blackened Steel base. It is also available in other metals. Last image shown with Mancini Bench.